Inspired by the training and running boom of the mid 1980's, the Nike Air Solstice drew inspiration from earlier models such as the Air Tailwind, Vortex and Air Safari. 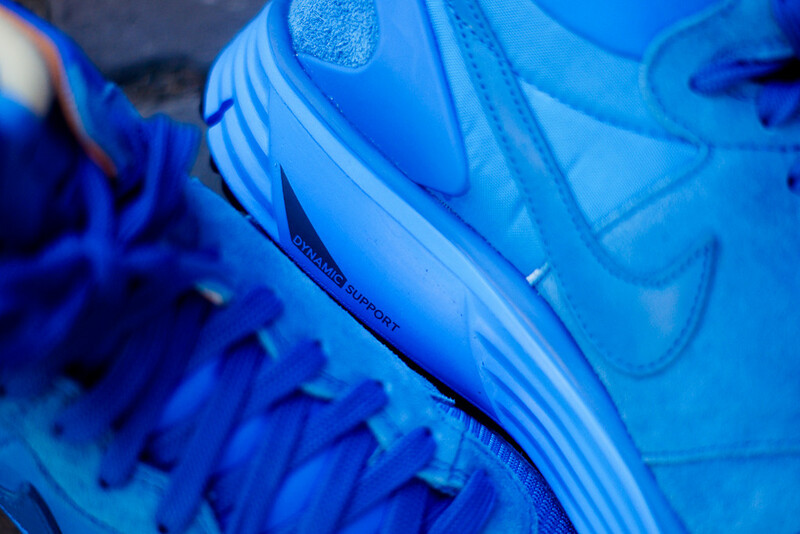 From the Limited Edition White Label Pack come these Nike Lunar Solstice in a mid cut. 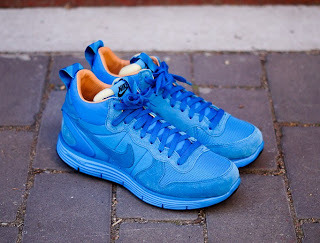 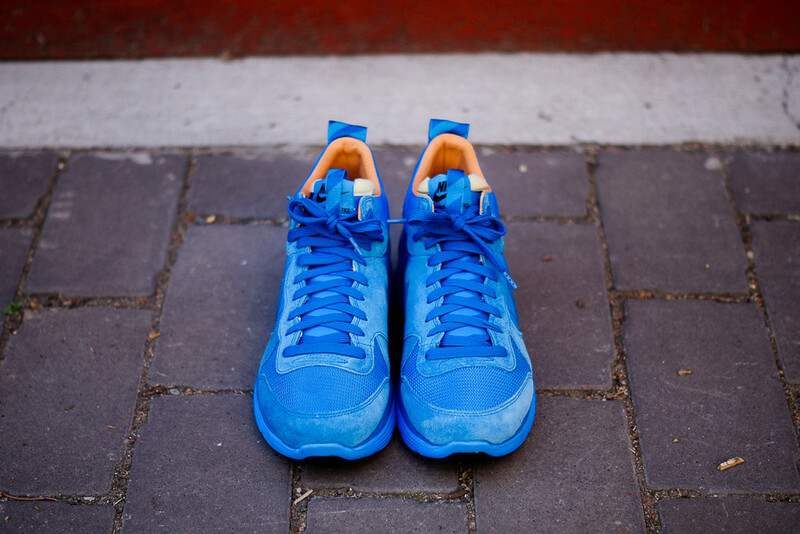 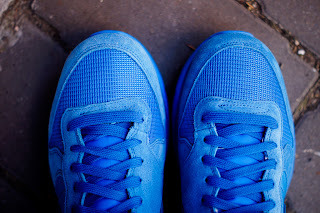 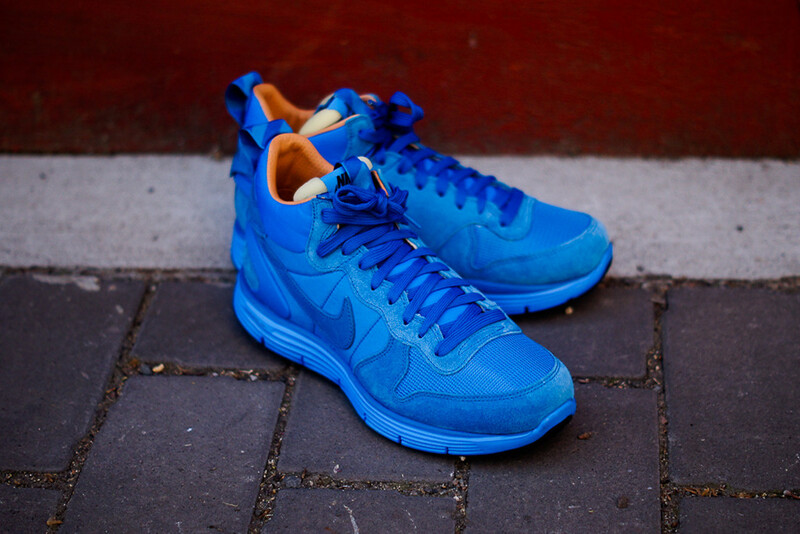 Presented in an all blue upper in a combination of premium suede, nylon and nylon mesh panelling. 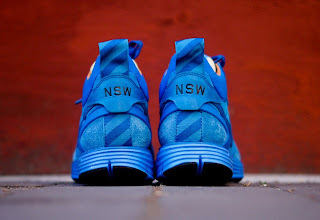 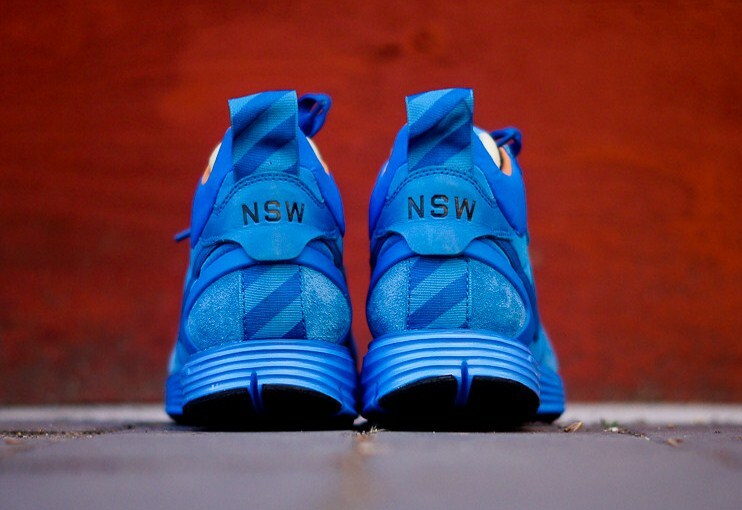 This silhouette features a tonal blue heel brace for extra support, a tonal lace up, embossed NSW branding to the heel and a large heel pull as well as a premium leather lining. 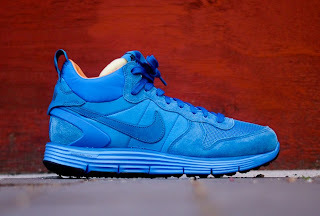 Finshed on a Lunarlon sole providing extra cushioning and a more lightweight and supportive design and featuring the Nike+ Technology.